How would you explain the key words of Wheat, Good seed, enemy and Tares? What is in your life right now that these words could represent? “Leaven” is yeast and would be mixed in the flour and water and baked to make bread that is fluffy, more palatable and easier to eat. Or you would lust have a large flat, dry cracker. As with cities today baking was a profession and you obtain your bread from the local bakery or family co-op., Because, ovens were expensed to build and the practicality of laboring in the field in which women did too, and making bread which is an all-day event of gathering, milling, kneading, and baking would be most difficult. But some people pooled their resources and had a community oven and took turns making and proving bread for their community. Leaven is also a symbol for evil as a little evil can do a lot of damage! Point? It only takes a very small piece of yeast for a large amount of flour. Just like faith! “Three measures” of flour is about a bushel and would make enough bread for over one hundred people. What is Jesus doing? He quotes from Psalm 78:2. He shows His concern for the entire world not just Israel. “Explain to us,” Jesus was teaching farmers and most of His disciples were fisherman, perhaps they did not understand the metaphors, maybe they were not listening, perhaps their hearts and minds were closed off. There are times people will not care or listen to us or God. We are still responsible to proceed with maturity, tact and love to proclaim His Word. We are not responsible how people take it or treat us, we are only responsible to trust and obey. Even when you feel like a failure, He is still there loving us and our efforts are never a waist when we are in Him! He is in control His timing is sovereign. “Harvest,” is a symbol for the End Times (Ezra. 4:30-32; Isa. 32:13-15; Jer. 31:27-28; Hos. 2:21-23; 6:1). Point? God supplies the seed, we cast them, and He germinates them. Sometime later a seed you sowed may germinate, you never know! “Gather out” / “weed out” refers to Christ’s divine authority over the final judgment when all those who refused to accept His grace will be cast off into the Lake of Fire (Rev. 19:20). “Weeds” are the reprobates (Rom. 1) Who refused Christ and took themselves or Satan as their lead. The “wheat” is His chosen people who by faith accepted Him and He was their leader. “Shine,” all of our efforts even though sometimes we cannot see them will shine forth in eternity, so have faith and confidence in His Kingdom! “Furnace,” is Hell (Mark 9:43-48; Matt. 25:41-46; 2 Thess. 1:7-9; Rev. 20:10-15) which is the final place for all those who rejected God. It is the final condemnation and judgment. God does not sentence people there, we send ourselves there (Eze. 33:11; John 3:18-21; Rom. 1:18-32; 2:8; 2 Thess. 2:9-11)! God is willing and able to save us from Hell, but are we willing to accept His love and free gift, strange as it may be most people refuse (Matt. 5:29-30)! So, what is the sequence? Who is gathered up first? The faithful Christians? NO! So, if there is a rapture, and now I think you should hope not, who is taken? Also read Matthew 24 too. The “Weeds” who are pulled and burnt! Evil people who are not redeemed by the Blood of the Lamb! Those who are wicked. Those who refused Christ. Look carefully in order of the sequencing, as many have overlooked this to make their dogmatic point. First, weeds, the enemy are gathered up and thrown into the furnace of fire, Hell. That also means people who teach false doctrines, perhaps that is why this passage is omitted. Then the Harvest of the wheat, meaning the mustard faith folks, those who are the children of the Kingdom of God, are gathered into the barn. The ability to practice real authentic faith. Be willing to trust Him regardless of your circumstances. Which is far more important that a theory that is wrong…. Carefully read Matthew 13: 24-43, notice verses 37-40. First off, God is faithful and He chooses to save us (elects) even though we do not earn it or deserve it. He does this not by foreknowledge even though He has it, rather according to His purpose (Eph. 1:3-14; 1 Cor. 1:8-9; 2 Thess. 2:13-14; 2 Tim. 1:9-10). But, God does not force Himself upon us, His grace is offered, we have to accept it by faith alone, which requires the precepts of these parables, which is a willingness to listen, the ability to practice real authentic faith, to be willing to trust Him regardless of our circumstances and our surrendered obedience. With these precepts we can seize the knowledge that Christ will prevail greatly with a minute for the vastness of His glory. We are the minute as our abilities and qualifications fall short and would be impossible to do anything grand, but in Him we can! “Tares” or weeds refer to a species of rye that is poisonous it looks like wheat in the early stages, but you can’t tell until it is too late and your crop is ruined. Its roots impact and destroy and cannot be uprooted without uprooting the wheat as well. Kind of like fake Christians or prideful pastors! So, the reapers would wait and just before they bud they can cut the bud and prevent the weed from maturing. If its grains get mixed up the bread will make you sick. Just like how toxic people and false teachers invade our lives and cause worry and strife. Yes, our hope is that God is still in control even when we are tangled in someone else’s mess. If God uprooted all things and people who cause us ill, we would not have opportunities to grow and become mature and faithful. 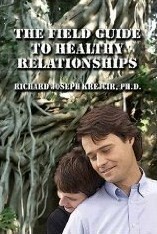 Our spiritual roots would be too shallow and we would be quickly uprooted by and wind of the problem. God will cut the weeds the problems in His right and proper time before it matures and strangles us. Now it gets interesting, who is “taken: first? God’s faithful or…? “Time of harvest” is God’s judgment and the reward of the elect-His children who by faith are saved. 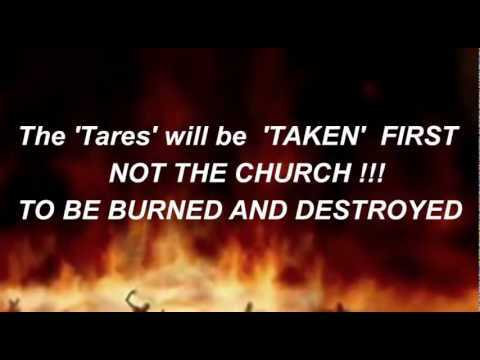 We may be surprised to find out who were the tares in His Church. “The enemy,” yes it does, it refers to counterfeit Christians (2 Cor. 11:26; Gal. 1:6-9) who speak false doctrine and have tainted hearts (Rom.10: 1-3; Rev. 29). How can we take comfort in this? Because Satan cannot uproot us, he has to instigate others to try to uproot us. He will even provide a counterfeit Christ (2 Thess. 2:1-12) but we will still prevail by Christ’s work. “Mustard seed” in Palestine refers to an insignificant small seed that produces a large 10+ foot tree like bush. It is one of the main spices. For us, this means things look small and we may overlook how God is working, yet He is there and by faith we too can grow large to produce great results and be a blessing. “Birds nesting,” is a picture of Israel as the trees and how the gentiles will be grafted into the covenant resting in the Messiah’s branches (Dan. 4: 10-12; Eze. 17:23). Who is gathered up first, faithful Christians or those who are evil? Look carefully at order of the sequencing, as many have overlooked this to make their theological point. It is interesting to note, that some liberal scholars use this passage to refute Jesus’ omniscience because the orchid and fern seed are smaller; however, that would have made no sense to His hearers who never seen or heard of an orchid or fern and by the way the fern has no seeds they are called spores! One of the key applications of the Parable of the Mustard Seed and Leaven, is that sometimes God has to get our attention through adversity, sometimes we have a willingness to listen. He has to break our pride and misplaced priorities. What we need to do is be aware, look to Christ, and learn and not jump to conclusions. Allow God’s masterful work to unfold. This is just as much about the end times as in our sanctification. The key Jesus uses to He explain what many are calling a “rapture,” is to point us is to real impacting faith, not so much how or when He returns. Furthermore, what Christ says is the utmost of importance is how we are able to receive Him. Are we being able and willing to understand? Thus, what and how He is about to do or what will unfold before He comes back. What is essential is not theorems; rather, our faith development and deployment. These are the items Jesus points us to in End Times Parables, which is far more important than our theories of what may or may not happen. Sometimes, that may not be until eternity as it was with Job. Our key is to trust and know He is in control and He will be there with us carrying us through. It is not about understanding ourselves, or theories, rather it is understanding Christ, Christ the Lord. Ask Him to show you His deep hidden treasures, but also be willing to listen and grow. Are you in surrendered devotion to Christ or to an end times theorem? 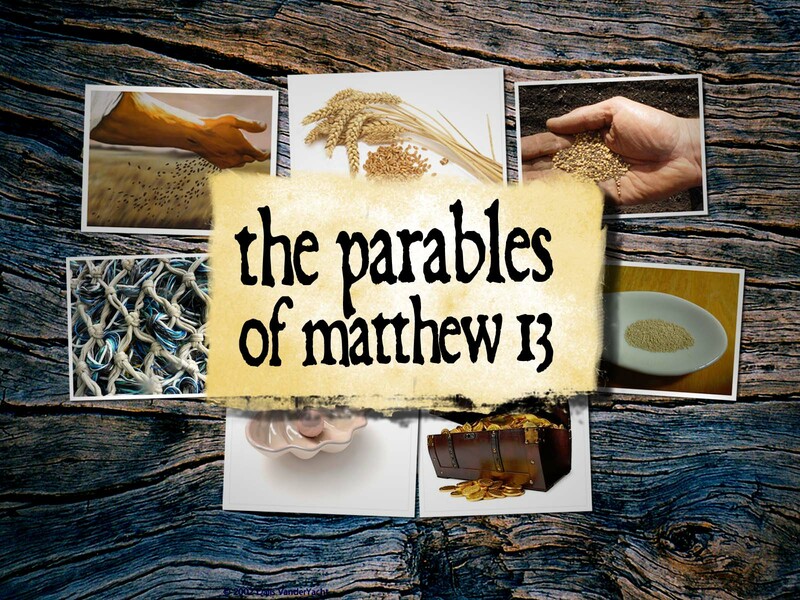 The Parables of the Mustard Seed and Leaven are explaining what the opposition is like to the Kingdom of God in the form of a metaphor. They use basic language and objects from people’s everyday life. Why, so they can easily grasp and relate to what is being taught. Christ is telling them and us, is your faith real? 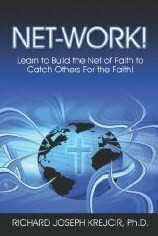 Is your faith authentic, if not you are a fake a counterfeit that will be pulled up and thrown out. Yikes, this means Christianity is not a game or a club, it is serious and it is eternal! Yet, to be real in faith is to have mastery and majesty at our call, we may not be able to literally say to a mountain to jump into the sea, but in eternal manners and relationships, substances that are really important, we can do amazing things! Having power over material things makes a good show, but is of no use to what is really important, our focus needs to be on Christ as our Gardner and not the weeds of the world! God’s Word has life and power, we must have the willingness to see His grace and apply it to our lives by faith, so we can grow and be used by Him for His glory! When He is the Gardener our life has purpose and meaning, He may plant you where you do not see the soil; nevertheless, it is there, make sure your roots are strong enough to break through the harshness of life to His nutrients that are available and abound. God calls us to be real and pull up the fakes! “A man who,” this is a picture of the “Everyman,” the person on the street who is faithfully serving the Lord. Even though only the wealthy owned the land or it was occupied by the Romans most of the people were the workers and their families. These people were peasants and some were slaves. They were like the blue collar worker who owes to the company store, literally, except much poorer. They had little wages enough to survive on but and not enough to break free and go on their own. In contrast, slaves then were indentured and could be bought and sold. A slave in Greek times was totally at the master’s disposal and even expendable. Jesus message about tolls and obedience would hit home with them since they knew what it means to be in total surrendered devotion. This is the theme for us in Christ that the disciple of the Lord has a will that has been sacrificed to God’s will and thus is totally at the disposal of our Lord (Gal. 1:15; 2:20)! A peasant could leave; however, they had nowhere to go usually. Both of these groups would know full well what Jesus was teaching. Jesus sets up His point, “like,” that this is an allegory, as it does not mean the Kingdom of God is a man, “refers to analogy. Even the word field, refers is symbolic perhaps meaning the Church and or the mission field of the world; however the syntax and cultural considerations refer to everything in the universe. “Wheat “was the primary staple of bread which was the main food. Referring to God’s people. “Slept,” meaning God is in control, but we still have a responsibility to be diligent and do all we can to prevent and stop false doctrines and dysfunctions in His Church (2 Peter 2; I John 4:1-6). We cannot afford to go to sleep at the help of His precious Church and allow the enemy to come in. Too many churches have done this, in fact, I would say most have! “Good seed,” refers to the Christians who have taken His Word with trust and obedience who are the on good ground and yielding. Literally as seed means seed that only had wheat seeds and all of the other seeds were removed. It was more expensive, but required less labor. What is the set up point? Our worth is immeasurable when we are in Christ (John 12:23-26). Just think, Jesus is telling this to slaves and peasants under occupation from one the greatest and most brutal powers in history, Rome. And tells them His Kingdome is greater! What a great picture of His comfort! What does a great biblical theologian say on the Rapture? “This doctrine is not really found in the book of Revelation. If you read the book of Revelation, you won’t find any mention of the rapture there,” said William Craig, a Research Professor of Philosophy at Talbot School of Theology and Professor of Philosophy at Houston Baptist University. According to Craig, the rapture became a popular theory about the End Times due to the influence of the Scofield Reference Bible, which was published in the early 20th century and promulgated John Darby’s mid-18th century’s views on the rapture. Later, Christian institutions, among them Dallas Theological Seminary, and churches began teaching the validity of the rapture. “A good many Bible-believing Christians absorbed this view as their mother’s milk as it were and have never thought to question its Biblical credentials,” said Craig. 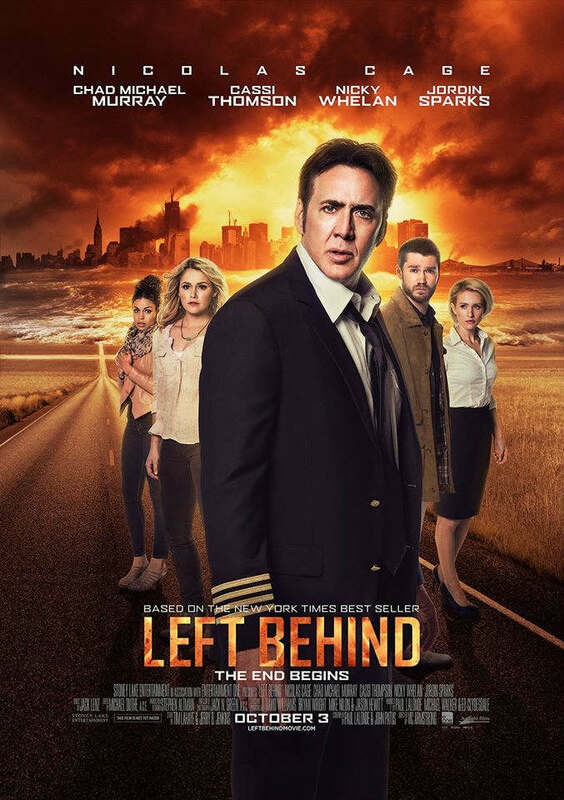 Craig affirmed that it was completely possible for Christians to watch the upcoming “Left Behind” movie or read the series, but they should resist taking its claims seriously. “It could be maybe good fiction. It would be say like reading science fiction or fantasy novels like The Lord of the Rings. 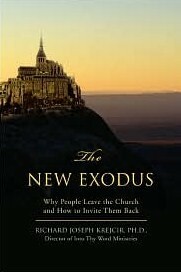 Just so long as you’re not deceived into thinking that represents biblical eschatology,” said Craig. Craig, who leads Reasonable Faith, an apologetics organization that equips Christians with the resources to speak about their faith in an “intelligent, articulate, and uncompromising yet gracious” manner, called upon Biblical scholars, pastors and other church leaders who also refute the rapture to speak out about their position.